GILBERT ARBEZ is a Teaching Associate at the School of Electrical Engineering and Computer Science (EECS). He has been teaching university courses since 1994 and became a full time teacher at EECS in 2003. 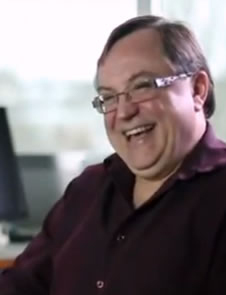 Part of his teaching load includes a course on computer modelling and simulation fundamentals. He has co-authored a book on Modelling and Simulation fundamentals which features a conceptual modeling framework; he has subsequently contributed to a chapter in a conceptual modeling book and contributed a number of papers on the subject. Current interests include modelling and simulation of discrete event dynamic systems, modelling and simulation of continuous systems (particularly modelling and simulation of solar cells), and teaching in engineering. He is starting an exploration of problem based learning and its application to engineering curriculum and courses. When he joined EECS, he brought with him 20 years of information technology experience gained from industry and government projects in various areas: networking and data communications, directory and PKI systems, Unix and Windows Operating systems; and various programming environments.